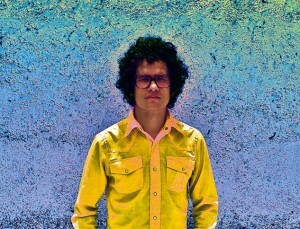 Grammy Award winning recording artist Omar Rodriguez Lopez (The Mars Volta, At The Drive-In) has just announced the spring 2011 release of a quadruple LP / double CD collection culled from his multiple solo and collaborative albums. In celebration of this, Rodriguez Lopez’s eponymous band will perform at this year’s Coachella Festival and SXSW Music Festival. Headlining tour dates are also in the works for late spring, to be announced soon. The extensive 37-song (38 on the vinyl version) compilation of the guitarist’s work, titled Telesterion will be available everywhere on Record Store Day, April 16th, 2011 via Rodriguez Lopez Productions / Sargent House.